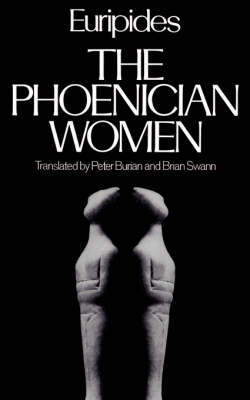 Peter Burian and Brian Swann re-create Euripides' The Phoenician Women, a controversial play about the fateful history of the house of Laios following the tragic fall of Oedipus, King of Thebes. Adding to the impressive Greek Tragedy in New Translations series, this translation displays the cohesion and rigid organization of this complex and much debated play. Through use of dramatic, fast-paced poetry, this version captures the original spirit of Euripides' focus on classic repercussions of fate, interspersed with the everpresent power of will. The edition is accompanied by critical introductions, expositions of translators' principles, stage directions, a glossary of mythical Greek terms, and commentary on difficult passages.